Grace Machinery caters needs and requirements of our clients, we are involved in providing Granule Packaging Machines mainly for packaging of Grains, Rice, Pulses, Sugar, Tea, Coffee. These machines offered by us are extremely reliable in nature. These machines are known for their high productivity. The body of this machine has sturdy as well as robust construction. The construction of this machine makes it highly break resistant. 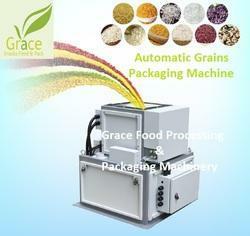 In addition, this Granule Packaging Machine is very easy to install. Grace Food Processing & Packaging Machinery Owing to our in-depth knowledge of this domain, we are specialized in providing Seed Granules Packaging Machines. 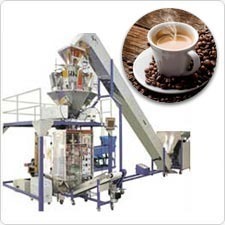 The provided packing machine is extensively required for the packaging of seeds. This packing machine is specially made by using exceptional quality components and innovative technology by our team of experts. Apart from this, the offered packing machine is made available in different technical specifications for patrons at negotiable rates..
Grace Food Processing & Packaging Machinery Owing to our in-depth knowledge of this domain, we are specialized in providing Seed Granules Packaging Machines, Pulses Packaging Machine. 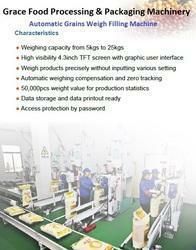 The provided packing machine is extensively required for the packaging of seeds. This packing machine is specially made by using exceptional quality components and innovative technology by our team of experts. Apart from this, the offered packing machine is made available in different technical specifications for patrons at negotiable rates..
Grace Food Processing & Packaging Machinery Owing to our in-depth knowledge of this domain, we are specialized in providing Grain Packaging Machines, Seed Granules Packaging Machines. 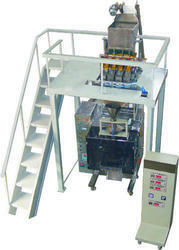 The provided packing machine is extensively required for the packaging of seeds. This packing machine is specially made by using exceptional quality components and innovative technology by our team of experts. Apart from this, the offered packing machine is made available in different technical specifications for patrons at negotiable rates..
Grace Food Processing & Packaging Machinery Owing to our in-depth knowledge of this domain, we are specialized in providing Dry Fruit Packaging Machines, Seed Granules Packaging Machines. 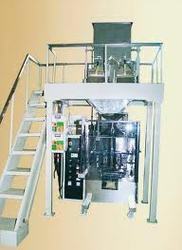 The provided packing machine is extensively required for the packaging of seeds. This packing machine is specially made by using exceptional quality components and innovative technology by our team of experts. Apart from this, the offered packing machine is made available in different technical specifications for patrons at negotiable rates..
Grace Food Processing & Packaging Machinery Owing to our in-depth knowledge of this domain, we are specialized in providing Seed Granules Packaging Machines, Seed Packaging Machines. 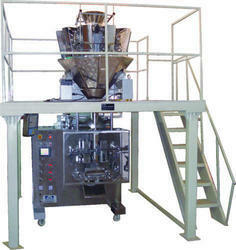 The provided packing machine is extensively required for the packaging of seeds. This packing machine is specially made by using exceptional quality components and innovative technology by our team of experts. Apart from this, the offered packing machine is made available in different technical specifications for patrons at negotiable rates..
Grace Food Processing Packaging Machinery offers automatic weigh filler which special self-optimizing controls can be precisely configured to your specific material flow, speed and accuracy requirements. Our Packaging machine has a very wide area of application for granule material including rice, soybeans, maize and seeds etc. 80% R.H. without dew Max. Grace Food Processing & Packaging Machinery are one of the well-distinguished companies in the market that is into offering Tea Coffee Granules Packaging Machines. These are a high speed machine with flat bottom, quad seal baggers and stick pack for immediate coffee mixes. These can be availed at leading market rates after a precise check by our learned technicians to make sure compliance. Also, this automatic machine helps in the whole procedure from packet forming, weighing, filling and sealing to counting of all pouches.